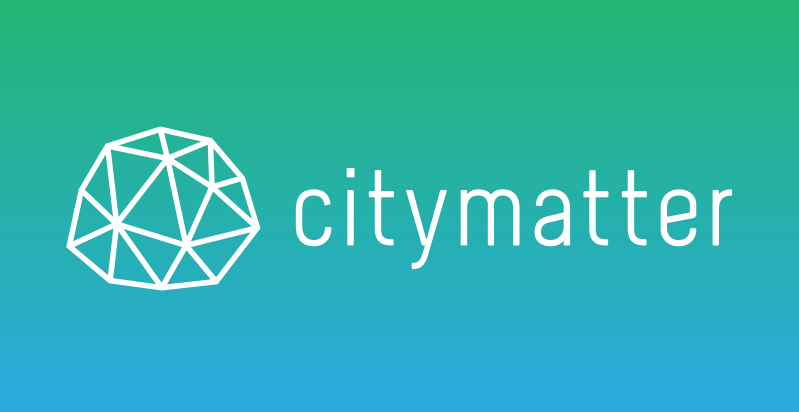 City Matter [ Beta ] – Local News Series, Part 1: Lou Hansen’s Recurring Conversation. This post is part of a series examining the links between local media and how people relate to their cities. We explore how local media affects a range of things: from how people engage with local and state government, to their sense of community and belonging. The flow of information enables relationships to form between people (see: Facebook). And information enables us to interact with and make choices about how we participate. I think few would disagree that local media has been key to forming a sense of local identity, and critical to sustaining vibrant and informed communities. And while we now have a glut of choice in media – particularly in cities – the strength of local news as an institution has foundered. Pair that with increasing migration of new residents to cities, and the ease of communication with faraway friends, and it’s clear that there’s major forces shifting to create the cities of our future. Local news organizations have long been the stewards of this flow of information through the city. So we decided to find out how changes in their industry have affected their activities, and their communities. In the conversations I’ll be having over the next few weeks, focus will be pretty wide ranging; from the economics of media, to newsroom dynamics, and the role and effects of technology as a journalistic tool. The first victim is Louis Hansen, a journalist who started reporting in 1995. 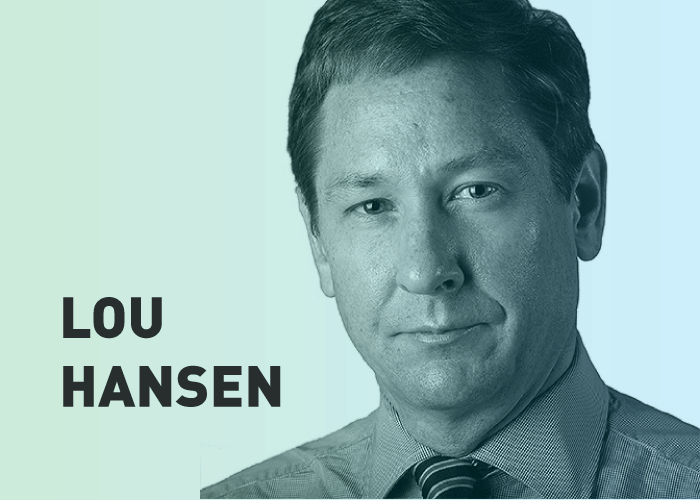 A few years at the Philadelphia Inquirer notwithstanding, Hansen has spent his career at The Virginian Pilot, a daily newspaper in Norfolk, Virginia. He’s currently a John S. Knight Fellow at Stanford, where he agreed to chat with me about the local news ecosystem. He also shares experiences from the newsroom and observations about how changes in reporting affect the way information is produced, and how it might change the readers’ experience. When he joined the Pilot in 1997, he recalls they had “about 250 journalists in the newsroom”, and Sunday circulation of about 230,000 copies. The paper’s penetration, defined as “the number of people in the community who read or experienced our product at least once a week” was somewhere between 50% to two thirds of the the community of 1.2 million people. The area is also served by an additional news daily, owned by the Tribune Company, that is “about half” the size of the Pilot, plus four local television stations. But retaining dominance doesn’t imply that it’s all been stable – Hansen cites daily circulation at 130,000 – a big drop from the daily 200,000 copies it distributed at it’s peak. And for media, this is a big, big problem. Decline in circulation hits media’s bottom line twice. Evidently revenue from subscriptions is reduced. But less circulation equals a smaller audience, meaning that the value of promotional space is worth less to advertisers. As for many papers, the newsroom cuts are staggering: from 250 journalists until about 2007, to around 120 people today. But unlike in other industries, the cuts in staff have effects that go much further than just the economics of jobs. Fewer journalists has meant cutting beats, and reducing the size of teams who report on everything from State Legislature, to the general coverage in five other cities in southeast Virginia. In these five cities, cuts meant a single reporter was now assigned to cover two City Halls plus two or three school districts plus and plus two or three courthouses. For individual reporters, the coverage area suddenly doubled or tripled. And it also means that reporters are forced to become about the stories they produce, taking a greater proportion of the information they receive at face value. “When I arrived at the newspaper we had a full time bureau in Richmond, and we had, I want to say, five reporters, an editorial assistant, and an editor. And we had an editorial writer as well… I think we probably had a full time staff of about eight or nine, year round. But when the General Assembly was in session, we added a few more reporters from the Norfolk Bureau, because that’s when the General Assembly would be considering bills.” Staff in Richmond was gradually cut to a single full-time Richmond reporter who covers State Government, plus just one supplemental reporter from Norfolk during the G.A. sessions. Less scrutiny from the press does give government more power over the narrative. “If they’re giving you the news” says Hansen “there’s a better chance now that [the story you’re given] will be the version that gets into the newspaper”. At this point I ask about tools: shouldn’t technology help in this regard? Have tools helped? “Not to be a heretic in Silicon Valley, but software has in some ways made a reporter’s life more difficult – and of course in some ways made it easier.” Research in the form of the ‘nuts and bolts’ documents, such as court records and City Council minutes, are now posted online, saving reporters from the hassle physically retrieving them. In mid-sized, it doesn’t seem to be quite so simple. In the rare instance that data savvy reporters are hired, it’s individual reporters, no teams. (The Pilot had one such position.) So individual strengths and weaknesses get amplified as the perspective of the newspaper. I would also imagine that in the absence of teams, the bias might be toward computing skills, with less regard to reporting skills. Hansen has admitted to liking data himself. He described experiences writing trend stories, noting that he’d collect data first and then dig into it. But even so, that data “is just a paragraph or two in a story, and the story really is the people behind the data and what they do.” He went on to cite one example, a rather fascinating story about an uptick of ‘failure to return stolen property’ instances in court records. From the demand side, less informed citizens simply care less; you can’t care about what you don’t know. But my thought is that the ‘how’ – that is, how to get those stories circulating, how to create awareness, how to bring people together through information in common that is both culturally and practically relevant – is still very elusive. Data isn’t a silver bullet. For better or worse, data in newsrooms is still in the realm of specialists or at least a hugely time consuming process of database creation. From my end, I’ve seen that the process of reporting on data relies on tools that are incomplete, and often unwieldy. And one such tool is the data itself – elusive, siloed, and disorganized. And as for Hansen, his data wish is a pennant for the New York Mets. Norfolk is a small navy town in the southeastern part of the state. Their economy is driven by two main industries: Navy and military spending and tourism in Virginia Beach. There’s also some government work and similar things, but there’s not much presence in from other major industries. Let’s make a quick disclaimer here: ‘passive’ for a reporter is not the same as being passive. And reporters are vital to story origination, because at the end of the day someone does need to pound the pavement for all those secondary rewrites to happen. The demands of covering such a large reporting load don’t leave time for doing a ton of digging to see if there’s more to a certain statement.